As Adam Dachis said himself, when people are learning photography, they tend to have an understandably hard time with aperture. Lower numbers mean larger openings? Larger openings mean less is in focus? 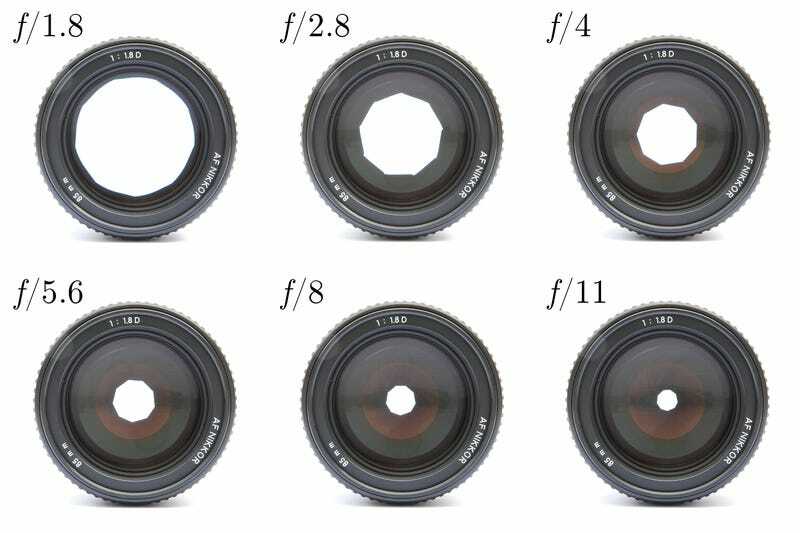 And why are different apertures called "f-numbers," anyway? Thankfully, there's a method behind this madness. Most people are taught that lower f-numbers mean more light, and higher f-numbers mean less light, and that's counterintuitive, but that's just the way it is. There's actually a fairly simple explanation for this, and the way photographers note aperture is a clue; for instance, f/2. In much the same way a shutter speed of 250 means "1/250th of a second," so too are f-numbers ratios. In this case, the lens' focal length over the f-number will give you the actual size in millimeters of the aperture. In other words, f/2 is an equation! f is the variable, and it is equal to your focal length. This is why a smaller f-number equals a larger opening. Let's look at an example. Say we have a 50mm lens at an aperture of f/2. Since 5omm is our focal length, this means our aperture's actual diameter is 50/2, or 25mm. Now let's change the aperture on that same 50mm lens to f/16, making the size of our aperture 50/16, or 3.125mm — much smaller than 25mm! So that's all good and well, but how come when you let in more light via a wider aperture, you get a shallower depth of field? A simple explanation is that by allowing more light to enter a larger lens opening, it enters the camera in a less orderly fashion — resulting a blurrier photo. Most photography classes, no matter how advanced, never cover the mathematics of aperture. Hopefully this helps demystify your camera a little!